Duterte to next release list of big tax evaders - Exam News, Reviewer, Military Career, & Everything [MN] . . Speaking before around 500 soldiers at Camp General Vicente Lukban in Catbalogan City, Samar onMonday, August 8, 2016. The tough-talking President Rodrigo Duterte has stated that his next target will be the wealthy tax evaders in the country. After he released the list of individuals who are involved in illegal drug trade, he will release a list of big tax evaders.. In his 15 minute speech at the Philippine Army 8th Infantry Division headquarters in Catbalogan, the Chief Executive pin pointed and stressed his message to the rich people, that they should pay their taxes properly. He said that he will be announcing formally (the list of tax evaders), as soon as the list is completed. He also said that he is going to invite those tax evaders to questioning and if they will not come, he will send the police and investigate with them. “Follow the law, follow the rules and do not cause agony to your fellowmen. You’re killing government! 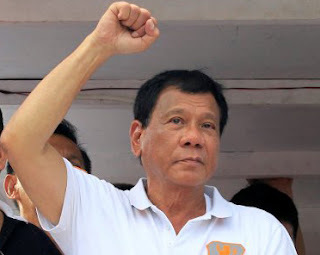 You’re destroying the Filipino people!” he emphasized. The president said tax evasion will not be allowed as long as he is the president of the country. He pointed out that it must be the interest of the government first and nothing else. The Chief Executive has promised the cops and soldiers that they will receive salary raise. The problem was it was not included in the 2017 budget or this year’s budget, and the Budget Department is having difficulty in coming up with the money needed for the fund. According to the president, the solution for the problem was better tax collection and stopping corruption. The president’s threatening statement regarding tax evaders is hoped to trigger those tax evaders to pay their taxes properly, which will result to a better and bigger collection.